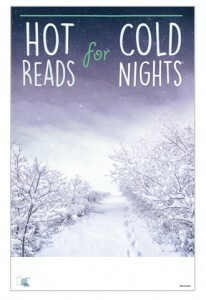 SELCO’s 2016 Hot Reads for Cold Nights theme takes its cue from a cool evening’s walk in new-fallen snow. As dusk turns to night, the sky takes on a gorgeous ombré effect fading from winter white through numerous shades of purple to a midnight blue. Even though the air is chilly, you enjoy the beauty of it all knowing you have one of our mugs filled with piping hot cocoa just waiting for you to return. This entry was posted in Regional News and tagged hot reads, hot reads 2016, SELCO, winter reading program. Bookmark the permalink.